Milk is one of the most nutritious foods you can find and Clipstone Dairy milk is some of the best around. You can purchase our milk from our milk vending machine at the farm. We sell our milk in plastic or glass 1 litre bottles or plastic 2 litre bottles. 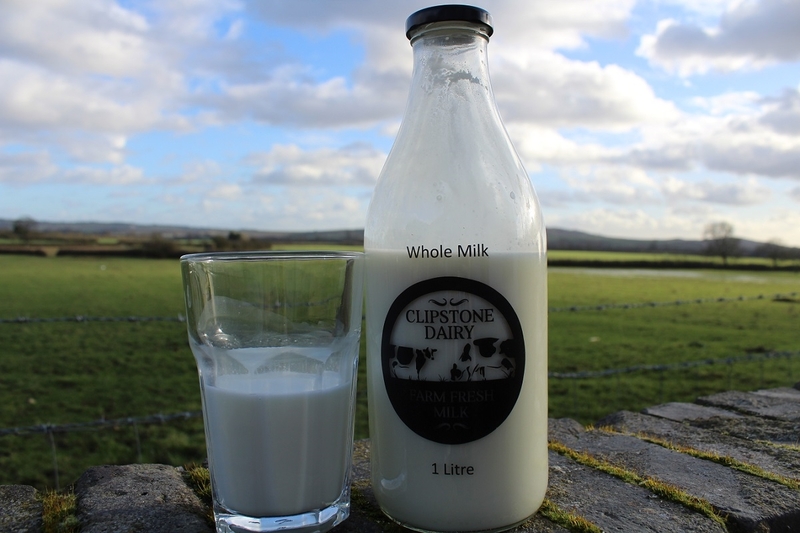 What makes Clipstone Dairy milk different? 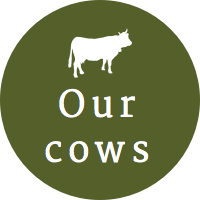 Our milk is not homogenised, separated or standardised. This means it has been gently heated to kill any harmful bacteria but importantly retains all its flavour and goodness, after the milk has settled the cream will even rise to the top just like it used to!! What do these processes mean? Homogenisation: A process where the milk is pushed through a hole with such pressure that the larger fat globules are broken down and dispersed within the milk. This gives milk a more even consistency, increases the shelf life and gives it a whiter colour. Through homogenisation, fat molecules in milk become smaller and become 'capsules' for substances that bypass digestion. Proteins that would normally be digested in the stomach or gut are not broken down, and are absorbed into the bloodstream. This is why you don’t get the cream rising to the top of the bottle anymore. Separation: The process where milk is separated into its cream component and liquid component. Standardisation: The process where the cream and liquid component are re-blended so that the milk contains the exact amount of fat required depending on whether it is to be consumed as whole, semi-skimmed or skimmed. Low-fat milk options tend to have less Vitamin A and Vitamin E.
As our milk is gently pasteurised it is safe for children and older people. Pasteurisation kills off harmful bacteria and by doing this process at a lower temperature we save more of the good bacteria and lactose enzymes. 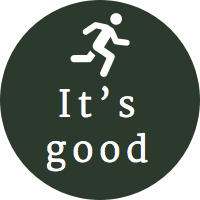 As our Milk is available to purchase direct from the farm gate via our new milk vending machine. The vending machine is filled up with fresh milk each day so your milk is never more than 24hrs old and contains no food miles unlike shop bought milk. We sell our milk in 2 litre or 1 litre bottles.